This weekend, I hosted my first-ever family holiday. Looks like I’m officially all grown up! Luckily Yom Kippur requires the least cooking out of all of the Jewish holidays, so that’s the one I volunteered for. I’m great at ordering bagels, lox, and spreads. Of course I also needed to add a pie to that docket, so I had my sister choose from the cookbook. She picked the Leaky Roof Potato Pie to go along with the breakfast theme. After scrubbing my apartment from head to toe, borrowing chairs from my neighbors, and taking two trips to different bagel stores (I needed special rainbow bagels for my niece and nephew), I got to work! 1) More sweet potato is better. 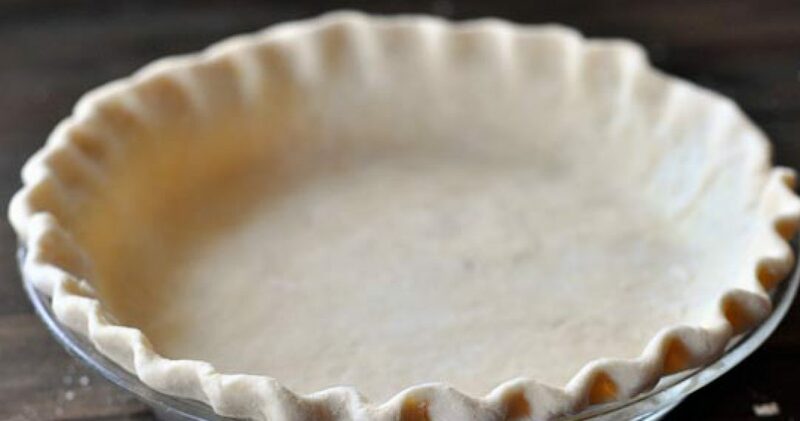 After you cook the crust, the sweet potato has a tendency to slide down, leaving the sides of your pie dish exposed. Really layer those potato rounds as far up the sides as possible, perhaps even slightly above the rim, so that there will still be enough to cover the dish when they slide down. 2) The recipe says not to cook the leeks until they are browned, but only until they are tender. Oops. Did it really make a difference? No. This pie was the perfect addition to my attempt at an elegant dinner party! Since I’m still doing Whole30 and couldn’t eat most of what I served, I invited friends over for leftovers the next morning. Whole30 ends on Thursday, so I can’t wait to make an epic pie that I can actually taste!